We have gained immense expertise in dispatching Precision Tilt Meters / Inclinometer / Angle measurement at clients' premises. The offered range of precision tilt meters is designed by reliable associates, who ensure to comply it with the industry laid norms and standards. Moreover, the offered range of precision tilt meters is suitably checked on different characteristics to maintain its authenticity throughout the designing process. 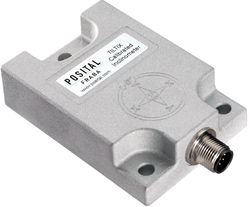 Looking for Tilt Sensors ?